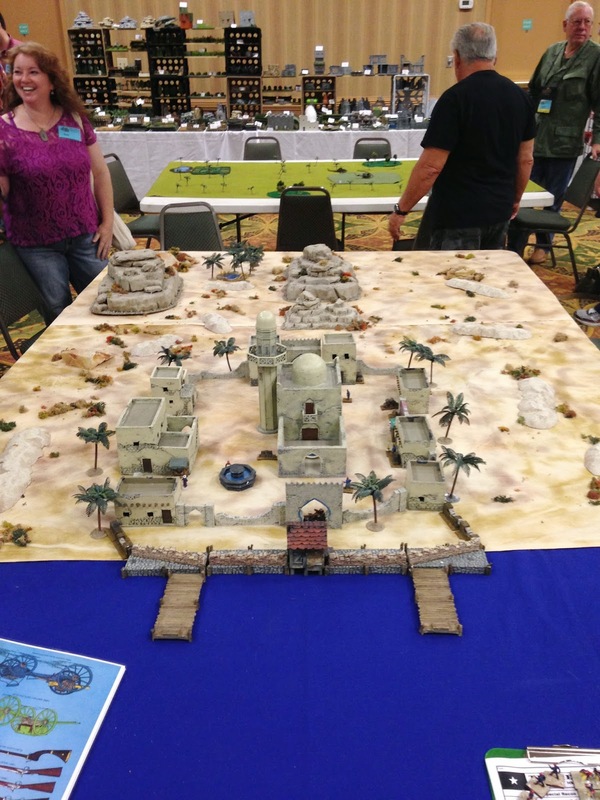 "Search for the Ark" game Saturday morning. 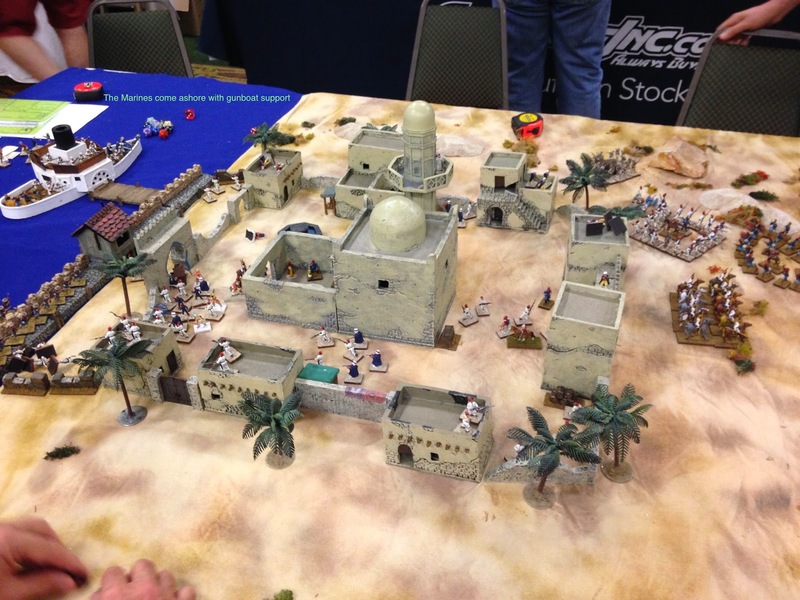 There was action, adventure, negotiations galore, and of course Eastern treachery. The central powers jockeyed for position and possession of the Ark of the Covenant. 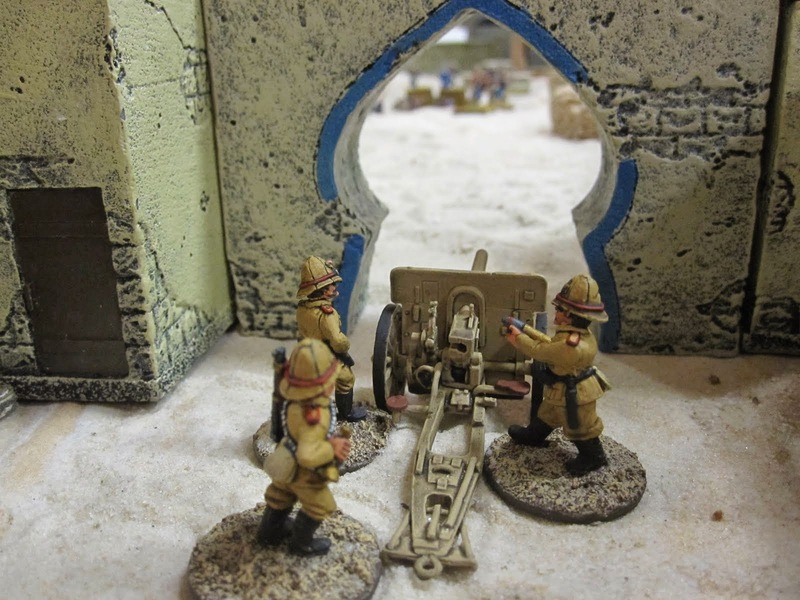 The Dervish commander played the central powers against each other, promising each one that he would deliver the Ark of the Covenant to them alone. But in the end all he delivered was treachery and death. 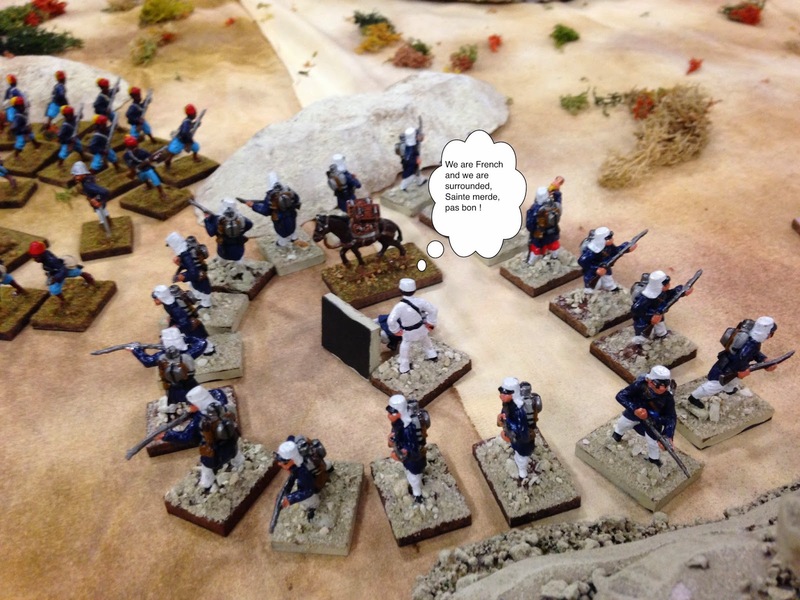 Bill Hogan the Dervish commander was in hie element in this game and played his role stupendously. 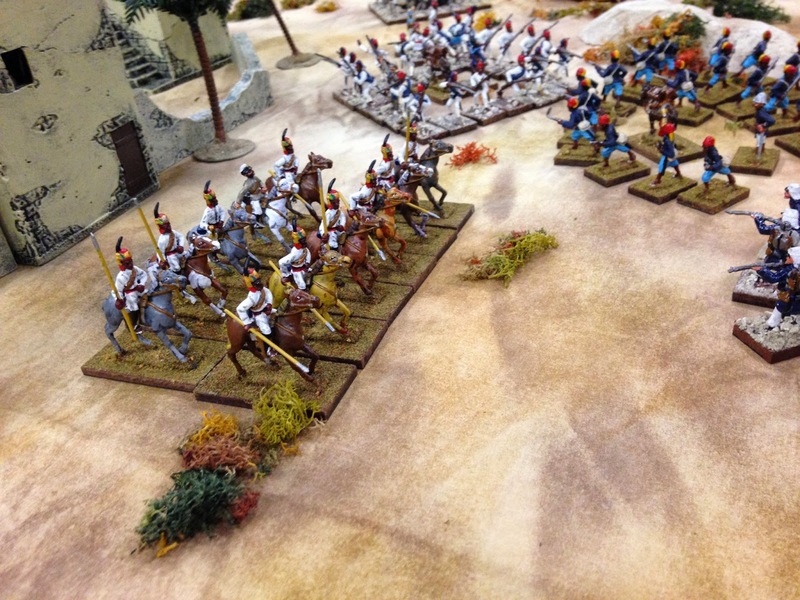 Then Bill Hogan ran his exciting French and Indian Wars game, "Dawn Raid in the Mohawk Valley" the very next session. 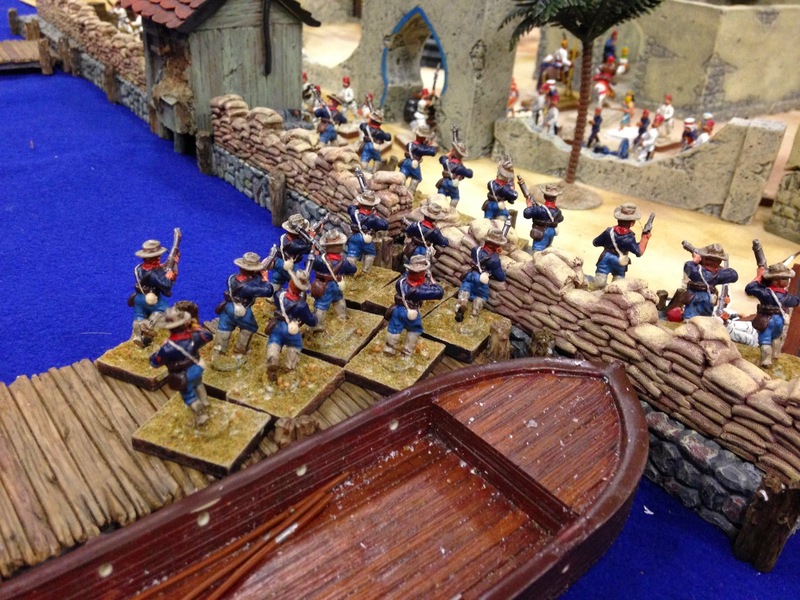 The Marines come ashore in the face of Egyptian resistance. Search for the Ark - the action begins. 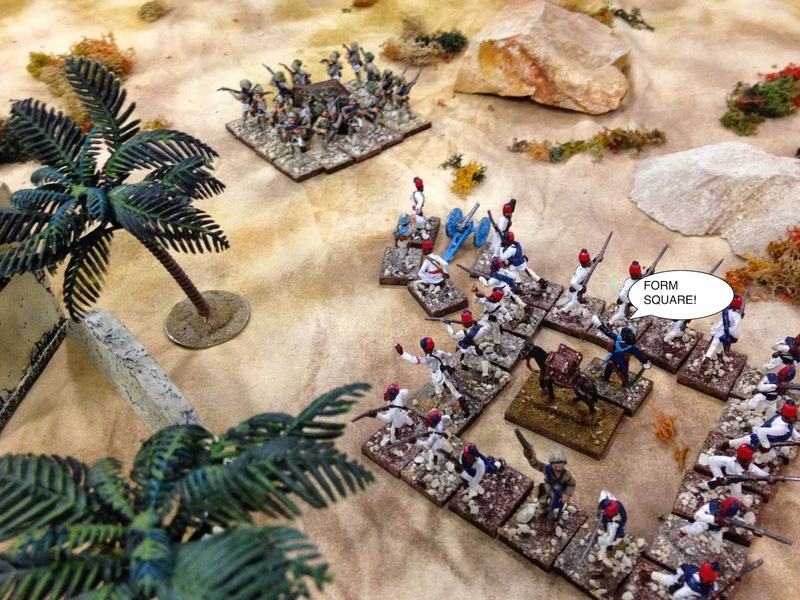 Search for the Ark - Italians Lancers advance, Avanti! Search for the Ark - The Italians are ordered to: FORM SQUARE!!! Search for the Ark - We are French and we are surrounded, Sainte merde, pas bon! 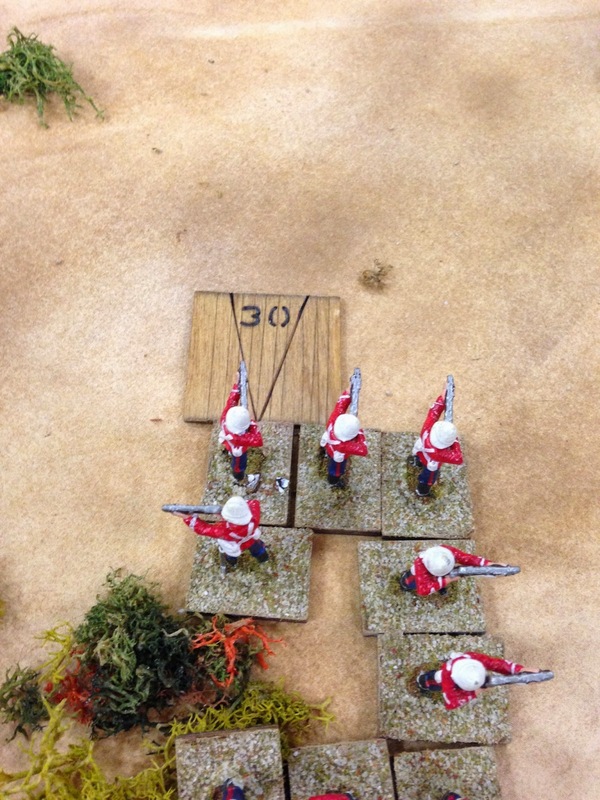 Search for the Ark - Steady boys, take aim...British troops firing using the new custom TSATF game markers made by my buddy "Last Stand Dan". Search for the Ark - Load the cannon. 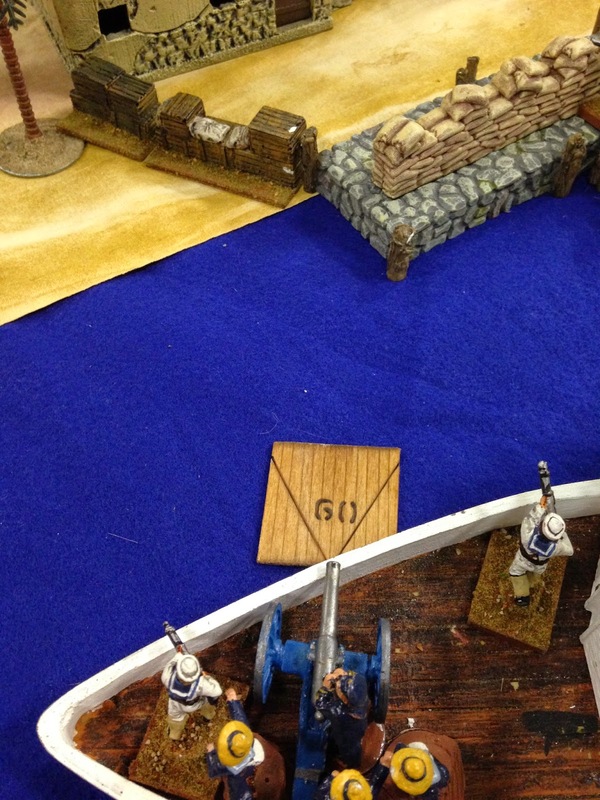 Ship board artillery takes aim with "Last Stand Dan's" fire markers. Jeff -- great job posting your pics from the con, including the "word balloon"!!! I still haven't done that one yet, need to go re-read Dan's email and figure out how it's done! Speaking of Dan, his TSATF fire cones do look good in action! Ethan, Good to hear from you. Yeah Danno has motivated us to explore our Mac options...it's kind of fun to annotate the photos. I really do like Danno's game markers. They're very useful and look cool.